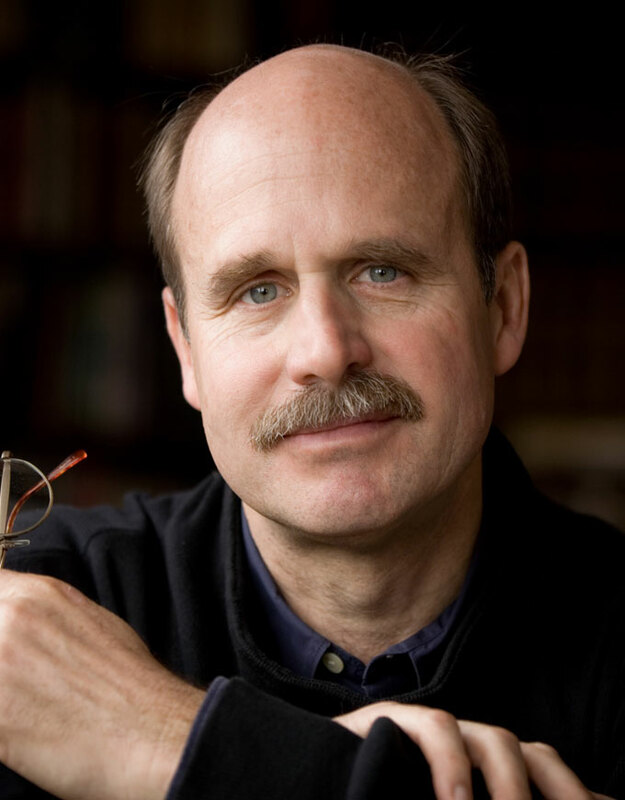 For the eighth installment in the 2010 Domus interview series, I spoke with Paul Saffo, renowned forecaster. For the past thirty years, Saffo has worked with leaders in American media, business, and military to anticipate changes and develop strategies for the future. We talked urban robotics, the rise of the city state, and China’s harmful history of engineering megaprojects. In this interview series we’re exploring the future of urban life, particularly how changes in technology, politics, or ecology will affect how we live. The ultimate goal is to help architects and planners anticipate these changes and develop strategies to deal with them before they fully manifest. I know that in your work as a forecaster you think about change very actively, and to begin I’d like to talk a bit about forecasting as an approach. I read a quote from you once that argued that everyone should become forecasters, so that it doesn’t become a field dominated by a few experts who distribute their knowledge more or less arbitrarily. Could you say a bit more about that? For starters, everybody needs to be a forecaster on the future of cities. You can’t leave it to the experts. First of all, the experts’ track records are not all that great, but also an understanding of what you think might lie ahead is going to lead to much better decisions in the present. And we’re all by nature forecasters: you get up in the morning and you look out the window and you make a rough and ready forecast on what the weather is going to be for the next eight hours and you decide what to wear. You buy a house and you decide to get a fixed rate, versus an adjustable rate, mortgage and you’re making an integrated economic forecast of the future of global economy for the life of the loan. The point is not to be right. That’s nice when that happens, but the point of forecasting is to understand the range of possibilities and then be able to respond to them. The image that I use when I explain it is a “cone of uncertainty”. From any present moment, event or question there stems of a cone of uncertainty. It’s a term that originated with meteorologists, because if you look at the weather, you can probably tell what’s going to happen over the next hour, but if you extend it over three days, then that cone of uncertainty becomes so broad that you begin having difficulty knowing the condition. That’s the reason that everybody should forecast. To put it more bluntly: everybody should forecast, because everybody is going to live in the future. I’m curious about how forecasting works professionally. I know that you sometimes work as a consultant. Lately, I’ve become interested in the role of consultants, because I recently worked on a project with an architectural office who had hired a management consulting firm to provide them basic market analysis and a cultural overview of the city in which the project is taking place. I found it a very interesting dynamic, because in some ways these consultants have a huge influence in terms providing a perspective that architects, planners, and developers use to inform their design decisions. But at the same time, as consultants, they don’t seem to have any real responsibility for the final product, and I find that a strange situation, because the people who are being hired to do the thinking about a project don’t actually have any culpability. I wonder if you experience that in your work. Yes, you do see that a fair amount. That’s in the nature of all consulting relationships, once you step outside of engineering consulting. If you’re working on an actual architectural project, of course, the acoustical engineer or the electrical engineer is on the hook for the advice they give. And I’ve always thought that there should be more responsibility there, but the simple fact is that McKinsey or any other consultant like that is giving a very raw input into that and there are lots of decisions in between the information received from them and what eventually happens. Like any large project, there are all sorts of opportunities for that information to get obscured. To me, the right way to do it is to have a consultant that is with you long enough to build up a longterm engagement, so that they have a real stake in the project and will still be there to see the results. It’s like the difference between a “mow, blow, and go” gardener and an estate gardener: the guys who mow, blow, and go are there once a week and don’t really think about your garden at all, where the estate gardener is constantly looking at the change of the seasons and everything else. By coincidence I have a piece in today’s San Francisco Chronicle arguing that the [San Francisco] Bay Area needs to think more like a city-state and perhaps consider seceding from California, so I’ve been thinking about this quite a bit. First of all, China in particular is growing faster than anywhere on the planet. You’ve got all that data about how many Manhattans they are planning each year. The really big mega-trend is the urbanization of human life. About two years ago, the global population ceased to be majority rural and become majority urban. This, for me, is an astounding fact, but I guess I’m not surprised that most people said, ‘Oh, that’s interesting’ and didn’t really pay much attention to it. But it is an extraordinary fact, because this is the first time in the history of this planet that a mammalian species has become urban. We began settled life in cities ten thousand years ago, and so the whole city experiment for humans is not that old and now we’ve really put all of our bets on the future of the city. And that to me is quite amazing, and all the more amazing when you see how bad some of the world’s largest cities work – the favelas in Brazil or the slums in Lagos, or the like. It begs the question, are cities sustainable? This is a question that, as a forecaster, I look at. Can we even make these large things work? Can we design them so that we can elegantly replace aging infrastructure? Because, of course, the city is going to live longer than the infrastructure. That’s an important point, I think, both in America where the infrastructure is old and decaying and in China where the infrastructure is new but not necessarily well built. Right. Here in the Bay Area we had an interesting example: the Bay Bridge, which was damaged in the ’89 earthquake, had to be repaired. The entire Bay Bridge was constructed in I think two years when it was first built, but it has taken twenty years to replace just the eastern span of the bridge. And it’s still not done. On the other side there is a city like Shanghai. Like everyone else, over the past decade and a half, I’ve watched with astonishment as they put in freeways at lightning speed and made all sorts of decisions about neighborhoods. Then the question is: can you replace that infrastructure as it ages? In a way, I think the key challenge for new cities is to design the infrastructure to be elegantly replaced. And you have ask it at a deeper level, because it’s not as simple as saying, I’ll lay some sewer pipe and fifty years later I’ll have to replace it. Well, when the people laid it, they probably assumed that the way you’d replace it is to dig a trench and replace the old pipe and put the new pipe in. But now what we’re doing with sewer pipe routinely, especially when it’s difficult to dig up, is something called “bursting,” where they are running a device down that pipe, basically a little robotic pig that is bursting the pipe apart and pulling along behind it a PVC pipe. So we’re now replacing pipes in a very different way than they were laid. That brings up another issue: that wonderful PVC pipe that you just put in, when it wears out seventy years from now, will you need a new generation of robots that actually go in and disassemble it? Because it will be a little bit harder to burst PVC pipe. So simply thinking about replacing infrastructure is a really interesting forecasting challenge, because the first thing you’ve got to do if you’re looking fifty years, or even as little as twenty years, in the future is to play in the factor of robotics. We’re teetering right on the edge of a very large robotics revolution and it may be that our cities are maintained by robots. This is one of the topics that I wanted to discuss with you. Robotics is a fascinating subject, of course, but particularly in the context of China because so much of what is taking place here is a result of the enormous supply of manpower that China has. As people have said many times, China’s manpower is a gift and a curse, because you can do so much when it’s effectively mobilized, but it also requires an enormous range of activities to keep people occupied and maintain stability. Whereas in a place like Japan or other developed, aging societies you can almost imagine a shift to widespread robotics as a way to make up for a lack of manpower, in China the issue seems more complex. This is a case where, as a forecaster, I would take that and note that that was Japan’s vision in the early 1980s. Very early on, Japan identified that it had a graying population – the so-called ‘silver society’. You could see the post-war demographic bubble in Japan moving through time sort of like a pig moving through a python. Japan was the first of the developed world nations to age and when it aged, it aged very quickly. So around 1980, they decided they would start a whole robotics initiative to, by the year 2000, have capable robots that would take care of people and do work and become the steel-collared laborers. It didn’t work. Now, if you look at the demographic data, China, because of its one child policy is going to age more quickly than any developed nation has in history. And it starts pretty soon: the rapid aging of the Chinese population begins in the next decade, and it gets older faster than just about any society ever will have. So if, based on the Japanese experience, robotics are not the answer, how would you advise China’s planners to design for this rapid aging? First of all, if you draw the notion of robotics broadly, it affects all sorts of infrastructure. It affects transport; it affects the nature of jobs. So, the first thing I would do is avoid the historic trap that urban planners have always had in front them and that is thinking they know what the future is going to be. That’s how we ended up with things like [the model community] Greenbelt, Maryland and all the post-World War II housing projects in Britain that were supposed to be utopian places to live and ended up being really horrible. We have example after example of that. So one way to avoid these sorts of situations is to start designing for surprise. Design in such a way that it allows maximum flexibility in use down the road. We may have an aging population early, but then it may be that there’s a big influx of immigrants to China and that skews the population. Look at the United States: everybody was worried because of the birth control pill that the United States population would stop growing and that we would do what Japan did, but the United States is very unusual among the developed nations in that all the projections are for very healthy population growth for the next forty years – and that’s largely due to immigration and the fact that immigrants tend to have more children. If I’m understanding it right, that idea of designing for flexibility would seem to imply a scaling down of some of the megaprojects that China is developing and replacing them with a wider range of less monolithic and maybe more experimental works. China has a long history of large public works projects that have had ruinous consequences. Think about the Great Wall or the Grand Canal, which had disastrous consequences, and I think the Three Gorges Dam will be similar and China will live to regret the construction of it. The concern I would have for China is based on the fact that they developed a taste for the monumental and the heroic in the Communist era, and even before that, and even though they’ve now become a capitalist society they still have that taste the monumental and heroic. And the government, being run by engineers, is primarily responsible. So I would be designing my cities to be put to unexpected uses and to fail gracefully. That seems to imply a different definition of sustainability than the one that currently dominates architectural discussions. Much of the talk now fixates on new technologies and materials, but a more basic and older idea of sustainability resonates with the strategy that you describe – designing things that are flexible so that they can change according to need and can be replaced with minimal waste. My good friend Stewart Brand wrote a book some years ago titled How Buildings Learn. His premise was that the best buildings actually learn; they absorb experiences and change elegantly from the uses they are put to. And in a metaphor for that I love, he said, ‘If a building lives long enough it can become truly wise’. Now, the other problem with cities is the grids. The part of the city that changes the slowest is property lines. After the Great Fire of London burned through, all the buildings we rebuilt in pretty much the same place and the roads were in the same place. That brings up a really interesting question: how can the uses of cities change in ways that make the usage of grids inappropriate? I can remember a little border town on the Spanish-Portuguese border, Arcos de la Frontera, that was medieval but they managed to put streets in and drive cars. But, having driven a car there, the experience can only be described as trying to thread a needle while giggling. It was really pushing it. If you go out to Kashgar where there’s the problems with the Uyghurs, the central government is demolishing all sorts of old parts of the city – alleyways and wonderful old buildings – and putting in their modernist, turn of the century stuff. I have two thoughts on this: one, it’s a political act – cities, of course, are always political. The broad avenues in Paris were consciously designed so that it would be very hard for Parisians to throw up barricades and very easy to move the military around quickly. Same thing with the US interstate highway system: it was done under the Eisenhower administration and it came out of the Cold War vision of being able to move the military around the country quickly. That said, I really worry about there being too much emphasis in cities on broad avenues and open spaces, because that seems to be where architects and city planners have done their worst work. Just yesterday I was in San Francisco and there was a very obviously mandated open space between two buildings. It was nicely landscaped, but because of the size of the buildings and the direction of the wind, it had a Venturi effect and no one in their right mind would sit in there. [Laughs] Yeah, I think I know the place you’re talking about. The thing that I don’t know, but I’d really love to know is whether notions of feng shui are being considered by China’s architects and planners. Of course, you can’t throw a rock in China without hitting a feng shui practitioner, but I look at what’s going on in Shanghai and it doesn’t look like it’s following the principles of feng shui. And that seems a pity, because I think feng shui could really be an advantage for China in terms of urban planning. If you take away the hocus-pocus part of feng shui, the underlying principles are really common sense principles about environmentally sensitive siting of housing and property, alignments to the rising and setting of the sun and therefor to hot and cold periods of the year, etc. I just don’t know, but I wonder if the planners who are drawing up all these big new cities in China are paying attention to that. One other thing: are you familiar with [the electric two-wheeled personal vehicle] the Segway? Yes, but I’ve never tried one. They’re pretty fun. Personally, I think the Segway failed because you look like a dork when you’re on one. Right, you see them at Schiphol airport in Amsterdam. All the security people ride around on them, but they definitely don’t evoke a sense of authority when they’re on them. Yes, exactly. But actually it turns out that as security devices they work well. They move fast and you’re two heads above everybody else so you can actually see what’s going on. But you really do look like a dork. Well [the inventor] Dean Kamen’s original vision for that was to sell the Segway in China. He was trying to convince officials that they could build entire cities around Segway transport. And it’s really a useful device; it just failed. I think the main reason that it failed is that it is just too big a change. It’s too big a shift and clashed with existing systems. Here in the United States, you can’t drive it the streets because it’s not a car and you can’t drive it on the sidewalk because it’s a vehicle, so it’s a little hard to figure our where a Segway goes. So he tried to make the case to the Chinese that they could use Segways to design new kinds of cities. Just as Los Angles, which was originally built around the street car system, was rebuilt around the automobile, he was arguing that the Chinese could build new cities around the Segway and keep the narrow alleys and still have efficiencies and the like. But, of course, they didn’t do it. So a big question today is, what is the Chinese city being built around? If you go into Chengdu or someplace like this, it’s basically the classic mix – a rail system at the regional level, a big subway system, a lot of buses and more cars than the city would like to have. Is there a different model to build the city around? I think that question brings us back to your idea of the city-state. In order to re-imagine urban models, there seems to me a need for greater autonomy on the part of cities to experiment and ignore, for instance, the demands of the domestic car industry, which in China is linked to the state. As a megatrend, [the rise of the city-state] is inevitable. It’s already happening, and at some level China itself is an example. The twentieth century was dominated by the nation state, and for the first half of the twentieth century only nation states even had standing in international law: if you weren’t a nation state international law did not apply to you. That changed after World War II with the arrival of the Universal Declaration of Human Rights, which suddenly allowed nongovernmental organizations and, under certain circumstances, individuals to be recognized as “persons” in international law. What we ended up creating at the end of the twentieth century was an international order in which there were a lot more players than just nation states – there were NGOs, there were cultural units, all sorts of things. In this century the shift is away from the nation state: nation states will still exist of course, but in a globalized world the most important unit of governance will be the city-state. What exactly is a city-state? A city-state is a place that is large enough to have a global impact, but small enough that all of its residents understand where they belong and what their relationship is to the government. Singapore is a good example: it’s a place where everybody knows where they fit, it has a global impact, and it runs very smoothly. It has a one party political system that a lot of people find strange, but frankly the economic bargain for Singaporeans is straightforward: Singapore is a very wealthy, very successful island in the middle of a bad neighborhood. You go down to the shore in Singapore – and the shore isn’t far from anywhere in Singapore – and no matter which direction you look you see trouble. You look towards Malaysia and there’s all sorts of social unhappiness and inter-ethnic tension; you look toward Indonesia and you have terrorism and uncertainty, etc. Singaporeans are constantly reminded that they’re a wealthy place that works well located in a very bad neighborhood, and so their social compact with the government is, as long as the government is absolutely uncorrupt, focus on running things smoothly, make sure that our children have educational opportunities and I have a job and we won’t bother creating all the turmoil of a two-party election system. That’s Singapore’s accommodation, and of course it’s not perfect. And, by the way, not right away, but sometime in the next five years things are going to get a little unsettled in Singapore. Wait, you can’t just casually drop a prediction like that and move on. What’s going to happen in Singapore? Singapore is experiencing a generational change in leadership. Singapore joined Malaysia in 1963 and then it split in 1965 and become independent. If you look at people like the Minister-Mentor Lee Kuan Yew, who was the father of Singapore – all of his generation remembers what it was like to be poor and to have no electricity, no air conditioning, and to live in a swamp. The next generation that followed remembered those things from their early childhood, but as early adults they had resources. This new generation has no recollection at all of Singapore as anything other than wealthy and successful. It is very Maslovian – not remembering how bad it was, they are going to be tempted to mess with there political system, and they’re going to get a little restive about the idea that they have this paternalistic government. And by the way, the very last kampong, the very last village in Singapore, is about to be bulldozed over. In the middle of that whole island, there is still one kampong that has the old guys sitting around drinking beer in the little roadside stalls. It’s a piece of the past, and I tried to convince the government that they should preserve it as a museum of what Singapore was like before. But I think they are going to bulldoze it. Right, so as I see it power is really reverting from the nation state to the city-state. And those city-states are actual city states like Singapore or Dubai, but they are also virtual city states that may not be legally recognized, but, in terms of economic power, they are there. In this article that I mentioned earlier I argue that the Bay Area is a classic city-state: it’s nine counties, it encompasses Silicon Valley and right there you can see how this community of seven million people has had a global impact. We’ve given the world Apple and Google and Facebook, and many others. In the case of China, you see all this silly speculation about whether the country is going to have a revolution and come apart or whether it stay together, but I think we’re headed into a world where, by midcentury it’s not that nation states will disappear, but power will have devolved so completely to the large urban centers that it’s going to be the mayors on this planet who are going to be the most powerful politicians. You can see that with China as it is: the mayors of Beijing and Shanghai wield considerable political clout and if ever there was going to be a push to make a change in the central government, I’d think it would come from the mayors. And I think in the back rooms of China there is considerable pressure being put by the mayors of cities on the central government. Also, it’s important to remember that the provinces are all competing for resources and for development. If you want your province to grow, you want more cities and that is something that isn’t necessarily in the hands of the central government. That’s true, and that raises another point. I haven’t been everywhere in China, but I’ve traveled a bit and I’m consistently taken aback by how consistent the appearance of Chinese cities has become. It is true that they are competing and that each province has the majority influence over its cities, yet still it almost appears as if they’re all coming from the same planning office. Right, which is unfortunate. I think it would be a great loss of diversity – and I don’t just mean cultural diversity but business diversity – if China became populated by a bunch of cities that look more similar than different. It might take twenty years, but eventually there will be a vast reaction to that where people say, We don’t want to live in these things anymore. In terms of regional independence, I’d like to ask you more specifically about local environment of California. You once made the point that California is more closely connected to Asia than to the east coast of America. It’s as if even though the geographic distance is longer, somehow business and cultural ties are stronger between California and this so-called foreign place. That seems to me like the beginnings of a disconnect from the nation state that could eventually lead California to forge its own path, independent of what the political and financial powers in Washington and New York say. You see it all the time here in the Bay Area. There are lots of people here who spend more of their time in Taiwan or Seoul or mainland China than they do on the east coast of the United States. We look west; California has always looked west and Washington and Europe is somewhere behind our back. You can already see here the beginnings of the breakup of the tight coupling of what constitutes a nation. Back in the first Bush administration, there was a period when George W Bush asked the California governor to send our California National Guard down to the border of Mexico to protect us against terrorists sneaking across the border. And our conservative governor Arnold Schwarzenegger said no; he refused to send the National Guard. Then, a week later he had a press conference down on the shores of the Pacific at Los Angeles harbor with a real head of state, Tony Blair, announcing a joint California-UK initiative around global climate change. So here you had a state governor negotiating directly with a head of state. This is no surprise, economically – I haven’t checked the numbers lately, but if California seceded from the United States it would become the seventh largest economy in the world. In the piece I just wrote I mention that the Bay Area alone would qualify as the 25th largest economy, larger than that of Taiwan. So, as city-states and regions understand and appreciate the degree of their economic power, it’s inevitable that they’re going to exercise political power. What’s the role of the virtual in the emergence of the city-state? The arrival of the World Wide Web in the mid ’90s really changed things. Cyberspace’s implications for urban planning can be summed up in one sentence: In cyberspace there is no distance between two points. You may be halfway around the planet from someone else, but in cyberspace you’re one click away. I watched this up close and personal in my work in the ’90s when I was going to China and India pretty regularly. I can remember in India particularly, in 1993, around the time that the Babri Mosque was torn down, I was in Mumbai for an extended period. You’d have all these young Indians who were really bright but kind of clueless. They had all sorts of screwy ideas about the world, and this was because there were no good communications. They were doing their best to understand what was going on elsewhere, but not really getting it because they were reliant on the Indian press. By 1999 that had completely changed. Now you had this whole class of young connecteds who were reading the Web and understood exactly what was going on and were up to the moment. Today, of course, that’s absolutely unremarkable. Right, and I suppose that access to outside information separates the individual citizen from national narratives, in a way similar to the decloupling of city and nation that you mentioned before. It creates a culture where people may have more in common with a culture that lives entirely in cyberspace or is thousands of miles away than they do with the local culture. Right around 1997, Fremont, which is one of the cities along the Bay Area here, built the largest cineplex in California; the largest movie multiplex anywhere in California and all it showed were Indian Masala movies. So you have the kind of diversity where people in Fremont are deeply engaged in Silicon Valley – including the politics of Silicon Valley – but then after that their main focus is India and they’re not paying a lot of attention to the United States overall and really don’t have much to say to a white Southerner living in Alabama. So in that sense this class of people that you describe, who are closely connected to digital culture, are in their way undermining the nation state. Oh yeah. I think it’s a pretty safe bet that any city built in the next five years in China will outlast China as a nation. And I realize this is sort of a ‘third rail’ and a difficult subject to discuss, but China is becoming the largest nation state on the planet and in many ways the last nation state to truly come together. In the United States, we killed off our Indians 150 years ago; the Chinese still have their frontier and are still trying to integrate their people, and I suspect that just about the time that China finishes fully integrating, it’s going to discover that this notion of the unitarian nation state is really an experiment left over from the twentieth century. It’s interesting that you say that, because in the West I think the decline of the nation state is very clear. In the European Union it’s self-evident fact and even in the US there has been for a long time a deeply engrained resistance to having a strong central government that can dictate life for all the citizens. But here in Asia, China is being identified as an example of the virtues of maintaining a strong state that can implement large scale projects, can think beyond a four-year election cycle, etc. In some ways I think the weakening effect of a diminished state is being exposed by China’s rise. Absolutely. The trend I’m identifying here has nothing to do with the dyspepsia you see in the United States toward the central government. And I don’t mean that the central government disappears completely. It’s rather that there’s going to be a competition between different governmental units for primacy. I’m not a believer in a China collapse scenario. I think it could be a gradual evolution where the central government gets weaker. It maintains the important functions that only central governments can do, but more is dictated by the mayors. To me, the big difference between China and everywhere else is not the relative power of the central government, but who is doing the running. If you look at the US congress, the majority of members by profession are lawyers. In China the central government has a head of state who was an engineer. In China you have engineers running the country, while in India you have professional politicians running the country. I realize this is a gross overstatement, but if you consider that America is run by lawyers, China is run buy engineers and India is run by politicians, you can understand some important things about the three countries and the way that they make decisions. One thing that you mentioned before that I’d like to return to before we finish is the effect of cyberspace on planning and the built environment. This topic has come up again and again in this series, and I’m curious to hear more of your thoughts on it. One point in particular that I’ve heard from architects is a concern about the effect of the virtual in diminishing architecture’s role, primarily because we demand less of the our physical and urban spaces because we can do so much socializing or learning or even decorating in cyberspace. So I wonder what you think about this subject and how you would suggest architects get more involved in defining virtual space. It seems to me that architects have gone from having one client – or perhaps no clients – to having hundreds or thousands of clients. When people can actually design their own buildings and design their own spaces – basically the culture of Make magazine which is about amateurs doing their own thing – that makes people more sophisticated consumers of expertise. Before desktop publishing arrived in the 1980s nobody even knew what a font was. A font was a different type of ball on your IBM Selectric [typewriter], but otherwise nobody had any idea what it was, much less things like kerning or justification or leading. Then, along comes desktop publishing and all of a sudden everybody got really interested in design, and for the graphic designers who were willing to participate there were enormous new opportunities and audiences. This is what turned people like [the typographer] Sumner Stone into stars. So the message to the architects is: get out of your offices and get into cyberspace. Engage with the enthusiastic masses who want to know more about your profession. But I’m assuming you mean an engagement that goes beyond self-promotion. No, this is a way to have a conversation with the people who live in the buildings you build. It’s not a PR strategy; it’s a whole different way of working. The age of Frank Lloyd Wright getting rich people to pay for your weird buildings disappeared a couple of decades ago. It’s hard to imagine even the life of IM Pei happening now. Now it is about deep public engagement. Yes. The one other piece of technology that really is hugely important to this issue is the rise of sensors and the connection between cyberspace and the physical world. We once had the physical, which we called ‘reality’. Along comes cyberspace and it’s this parallel universe that we visit by peering through the portals of our computer screens. It couldn’t even look back, so what was going on in cyberspace had no idea about the real world. Now, with the advent of ubiquitous sensors over the past decade and a half – whether it’s RFID tags or video cameras on poles, etc. – cyberspace and the physical world are interfingering together. A good example is using Google Street View: how many times have you been walking down a street and you’re wondering, Where was that shop? So you call up Street View and you’re standing there using Street View to see what is half a block away. Or GIS [geographic information system] information: the combination of seeing the map in realtime on my screen with the option of saying, Just tell me where the Starbucks are. Cyberspace and the physical world are interfingering to such a degree that we’re going to be constantly surprised by moments when all of a sudden a big chunk of cyberspace protrudes into our physical world. And vice versa. When I was an advisor to the Pentagon in the ’90s we talked about something called the “Ender’s Game scenario” – Ender’s Game being a novel by Orson Scott Card. It refers to a situation when people are in a simulation and think they are running a simulation but are in fact effecting things in the real world. The Pentagon had something called SIMNET, where you could have pilots sitting in a simulator virtually flying but they are interacting with the data flows of real planes flying out there in real space. The example I’m waiting for is this: at some point here we’re going to have a murder case where someone doing something in cyberspace, thinking they’re doing Dungeons and Dragons or World or Warcraft or something, inadvertently kills somebody in the physical world and they don’t even know they did it. It’s weird and futuristic-sounding, but the fact is that architects and urban planners need to thoroughly understand cyberspace, not just because it’s a fast-growing thing, but because cyberspace and physical space are colliding together and are going to be in twenty years virtually indistinguishable.